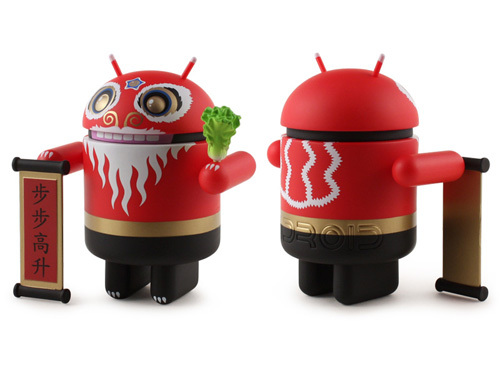 To celebrate the upcoming Chinese New Year, Dyzplastic is set to release a very special edition Android Mini, with most of the units making their way to Asia. Luckily for us, there will be a very limited amount making their way into the Dead Zebra store on January 24 at 11AM. Each mini comes with one of seven different custom scrolls, each symbolizing or representing something different. 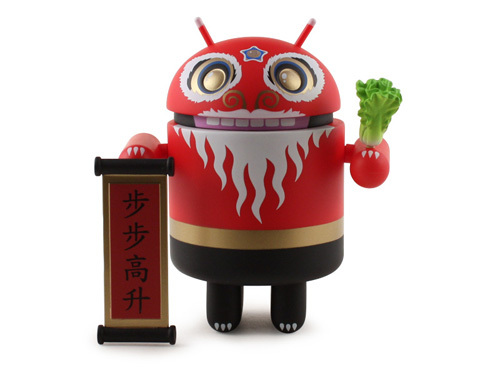 Staying true to tradition, the Dancing Lion also holds a head of lettuce, which was used as currency in the old days. You can read up on the Dancing Lion over on Wiki.